Lugarde offer a choice of timber garages in various size options. Made from 44mm Scandinavian pine or 68mm option. You can choose from pitched or flat roofs, built in canopies and rooms and of course a choice of doors and windows. 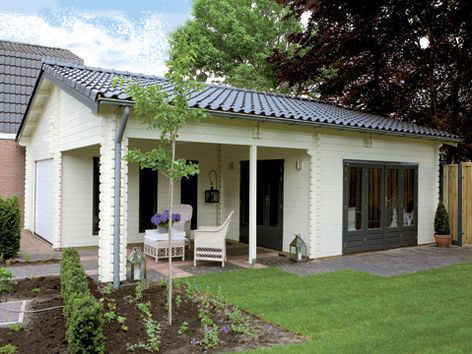 Design your own garage or carport or choose a standard model such as the wonderfully versatile Birmingham or Miami summerhouse garage combination - take a look!